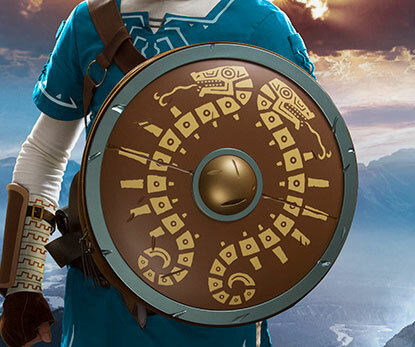 Look like Hyrule’s iconic hero on your way to school by carrying stuff in this Breath of the Wild shield backpack. Modeled after the Traveler’s Shield from the Breath of the Wild game, it offers ample room so you can fit everything from your laptop to your school books. Add authenticity to your Legend of Zelda cosplay by topping it off with your very own Zelda Guardian sword. This stunning handcrafted prop measures 32 inches long and is outfitted with built-in neo pixel LEDs that bring the entire sword to life. 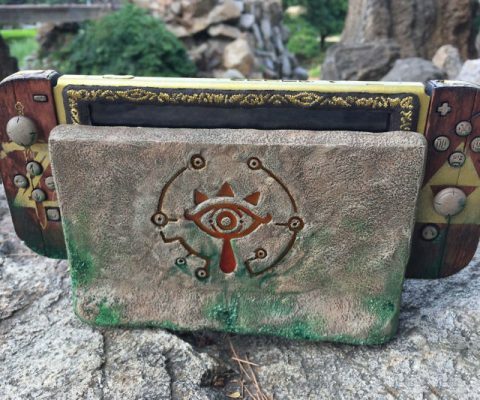 Transform your smartphone into the multipurpose tool brandished by Link in the Legend of Zelda: Breath of the Wild video game – the Sheikah Slate. The case is made from sturdy flat plastic, and fits over a wide variety of Galaxy and iPhone models. Become the envy of all your gaming buddies by playing Link’s latest adventure on this Zelda themed Nintendo Switch. Modeled after Breath of the Wild, the console is intricately decorated with real wood surfaces and chiseled brass trim to create an incredibly realistic look. 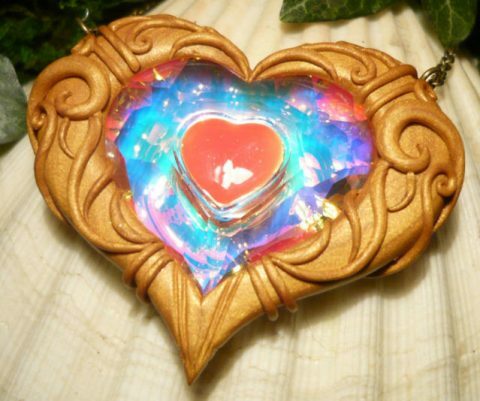 Increase your HP on your next adventure by putting on this Zelda heart container pendant. Modeled after The Twilight Princess, each handmade pendant features game-accurate detailing and is complemented with a Swarovski glass heart. 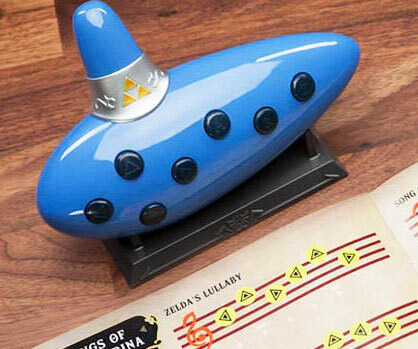 Become the greatest musician outside of Hyrule by playing some enchanting melodies on this electronic Ocarina of Time. The “classic” mode plays a prerecorded tune, while the “free-play” mode allows you to create your own melodies. 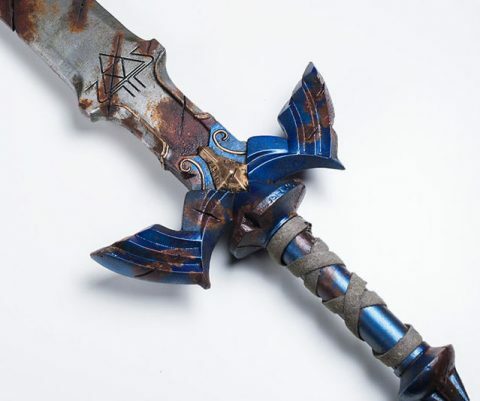 While it may not help you take down Calamity Ganon, this Breath of the Wild Master Sword replica will put a killer touch on your Link cosplay. This handmade sword is expertly crafted in the image of the sword featured on the game’s title art. 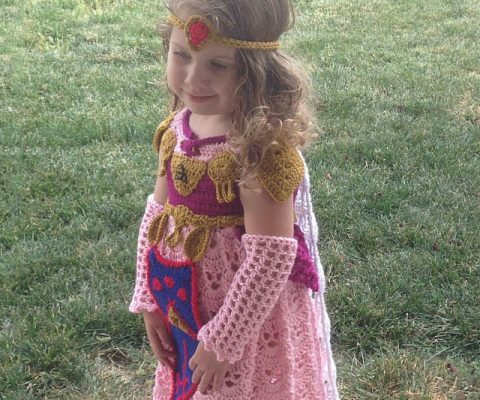 Get your little princess into cosplay from an early age by transforming her into video game royalty with the Princess Zelda crochet costume. This darling ensemble is hand tailored and can be worn by children ranging from ages 2-4. 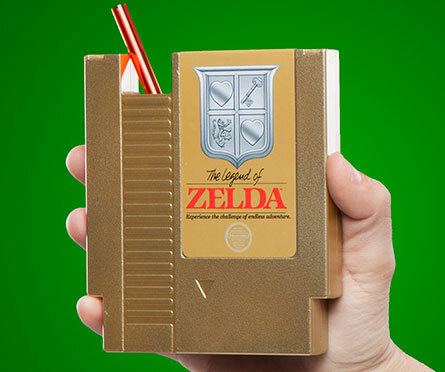 Kick it old school while you hydrate by sipping your beverage from this Zelda Nintendo drink cartridge. Inspired by the iconic NES game, this retro styled drink receptacle features a glorious golden hue, classic Zelda detailing, and a handy straw port. 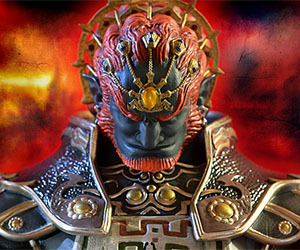 Decorate your gaming room with one of the most iconic bad guys in Nintendo history with the Ganondorf statue. This incredibly detailed hand painted 1/4th scale limited edition statue will easily make an excellent centerpiece for your collection of figurines. Navigate through the darkness just like Link does by using this Legend of Zelda light up Navi fairy. 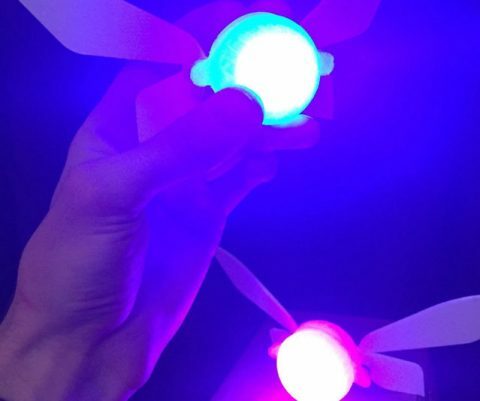 This 3D printed battery operated light is crafted from ABS plastic and is designed with a built in LED that makes the small winged fairy come to life just like in the game. 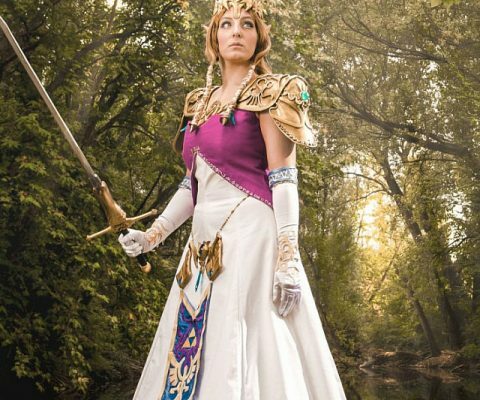 Transform yourself into a royal family member of Hyrule with this intricately designed Zelda cosplay outfit. The dress is handmade with extreme attention to detail so that you can convincingly pull off the look. 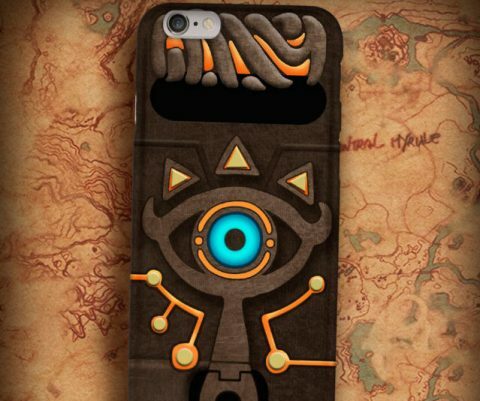 Shut up and take my rupees!